Stonehenge will close its normal visitor operation at 1500hrs (3pm) on Saturday 20th June and all day on Sunday 21th June 2015. Please note that the Stonehenge coach park will be closed during Managed Open Access for Summer Solstice and we will not be able to accommodate any commercial coaches on site during this time. This film from the AHRC is the latest in our specially commissioned series which celebrates the AHRC’s 10th anniversary. This film looks back to the year 2007 and the Stonehenge Riverside Project. Led by Professor Mike Parker Pearson, the Stonehenge Riverside Project brought together academics from around the globe in one of the largest field archaeology research studies of the 21st Century. 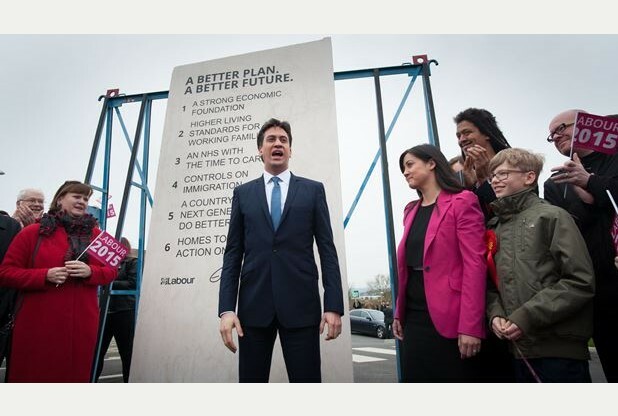 The project set out to further understanding of Stonehenge and neighbouring complex, Durrington Walls. 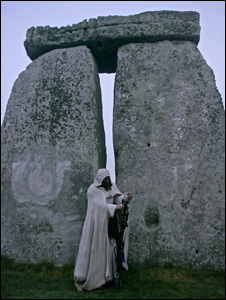 The project looked at the sites in the context of the surrounding landscape, and in doing so several remarkable discoveries were made including a new stone circle dubbed, ‘Bluehenge.’ The discovery catapulted the project to the forefront of the world‘s media and made front page of newspapers all over the world. A NEW exhibition focusing on Stonehenge through the years will be opening today. #Stonehengewishyouwerehere. New ‘Stonehengiana’ exhibition created by archeologist Julian Richards displays souvenirs and other ephemera charting history of site as tourist attraction since the 19th century. It has been a place of pilgrimage for many centuries and a tourist attraction probably since Roman times. Wish You Were Here! takes a look back at how the ‘henge was viewed by previous generations and it provides a glimpse at the iconic role it has played in popular culture. From 1st May 2015 explore the ‘Wish You Were Here’ special exhibition in the Stonehenge visitor centre. 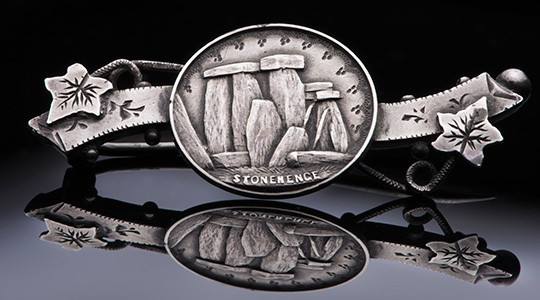 Celebrating both the changing ways in which Stonehenge has been experienced by its many visitors, and its status as a world-wide icon, through historical souvenirs, guidebooks, postcards and photographs. The exhibition features items from the personal collection of Julian Richards and objects on loan from the Wiltshire Museum and The Salisbury Museum. This is the latest in a regularly changing programme of special exhibitions at the Stonehenge visitor centre. Entry to the exhibition is included in the price of your ticket. Explore previous exhibitions held at Stonehenge. Wish You Were Here opens on 1st May and runs until March 2016. Admission is included in the Stonehenge entry price. Visitors are invited to share their experiences on social media with the hashtag #stonehengewishyouwerehere.